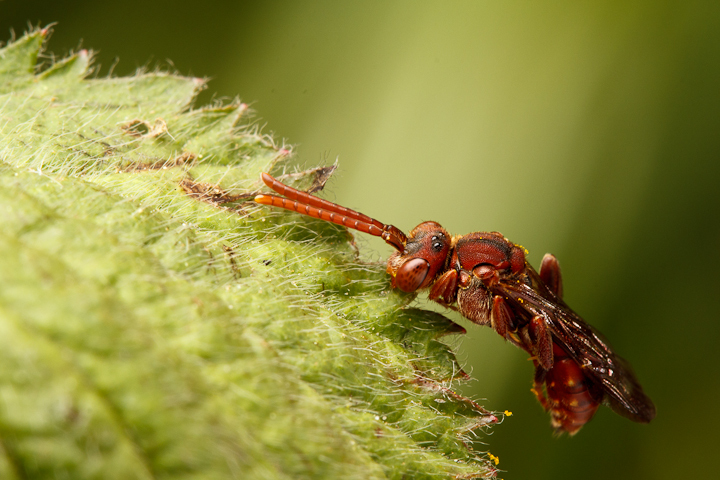 For macrophotography, no bees are better subjects than sleeping bees. 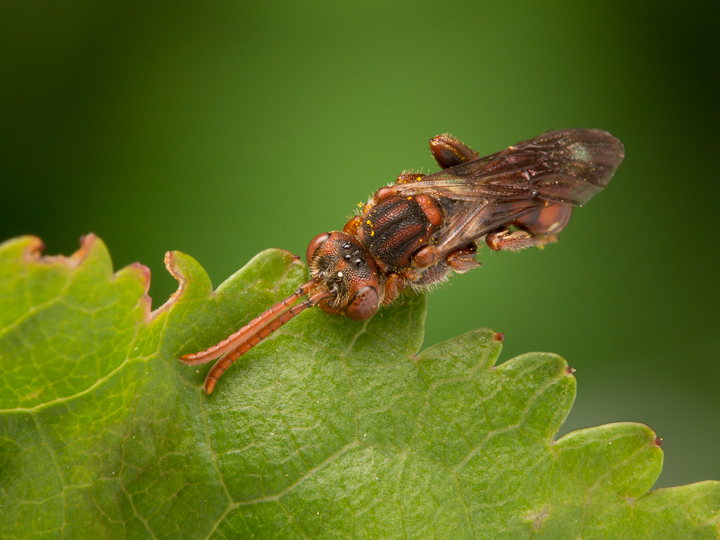 When these normally busy Hymenoptera decide to turn in for the evening, it takes a lot to disturb them. Because of their single-mindedness, they make excellent subjects, and they can be found at a convenient time, such as the early morning (before work) and in the evening (after work). The leaf they are grasping can often be detached from the plant and then the whole setup can be posed with one hand while shooting with the other. If you are dextrous enough, you can even hold a white bounce card on the opposite side to your key light in order to provide some nice creamy fill. 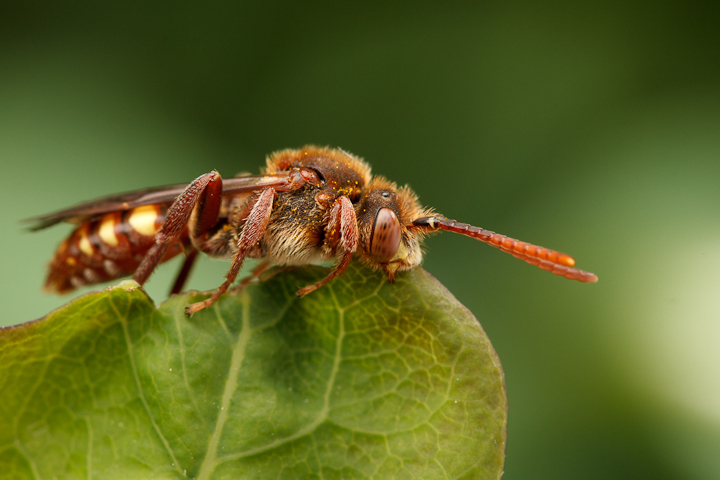 I got the chance yesterday to try out some of these tricks with sleeping Nomada. 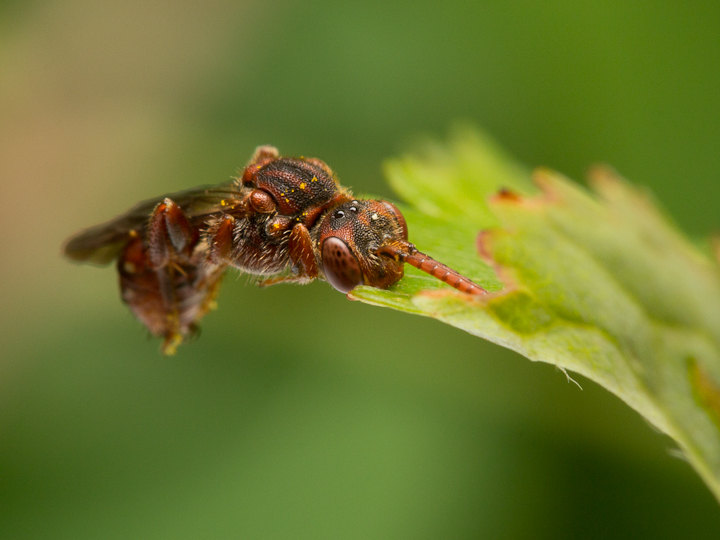 The members of this genus are cleptoparasites of other bees, such as Andrena, meaning they seek out the other bees’ nests and oviposit within them. 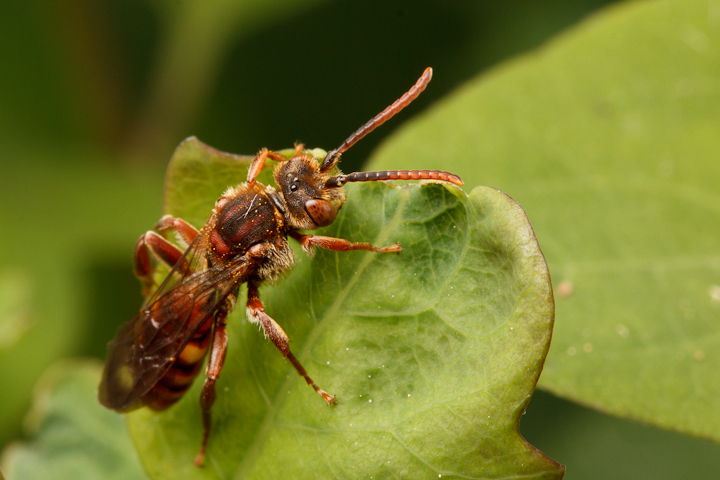 Then the Nomada larva consumes the provisions that the host laid in for her young. 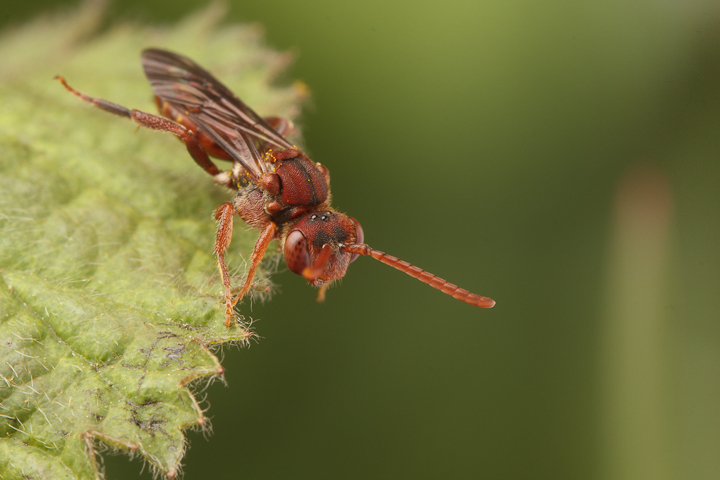 Nomada seems to be a tricky group to identify, and hence I cannot provide specific identifications, but I suspect all of these are in the Nomada ruficornis species group. Aiming the Monster Macro Rig toward some nearby vegetation produces a nice soft green background. Aiming up produces a nice blue sky backdrop. This is the result of positioning the same subject in front of a dandelion. A bit of a different angle. 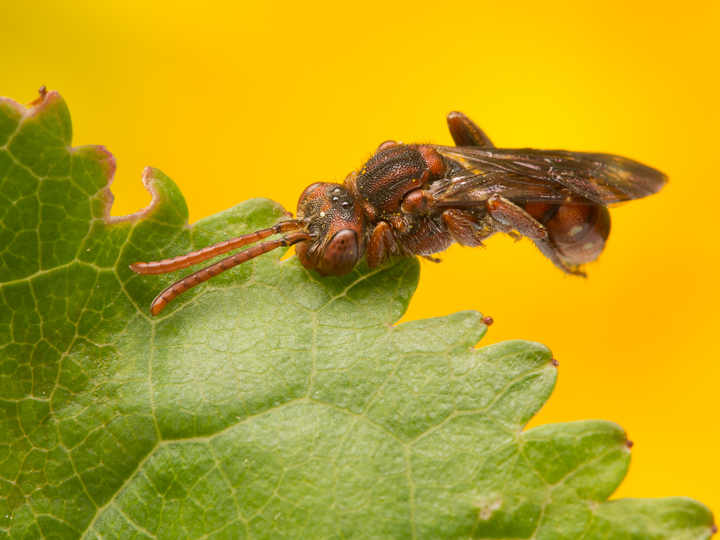 You can see pollen adhering to the thorax, probably picked up while entering a host’s nest. 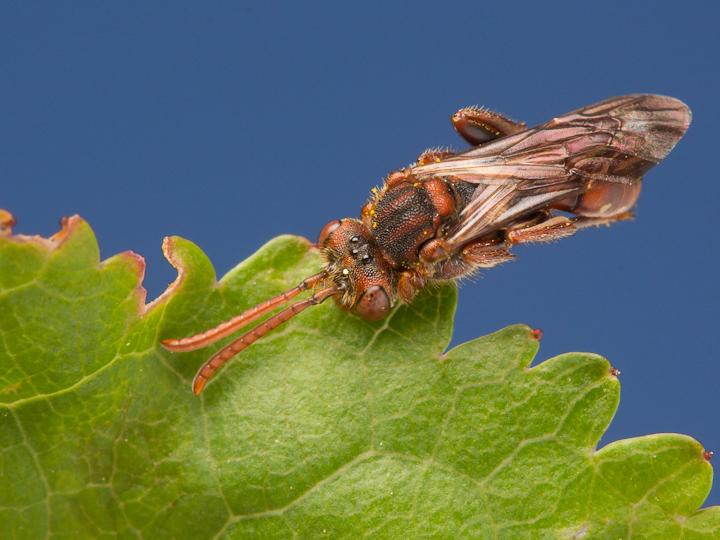 Here is another Nomada I found in the afternoon.You can see it is hanging on with just the mandibles. Providing the opportunity for another good angle! A hairier and more robust individual. 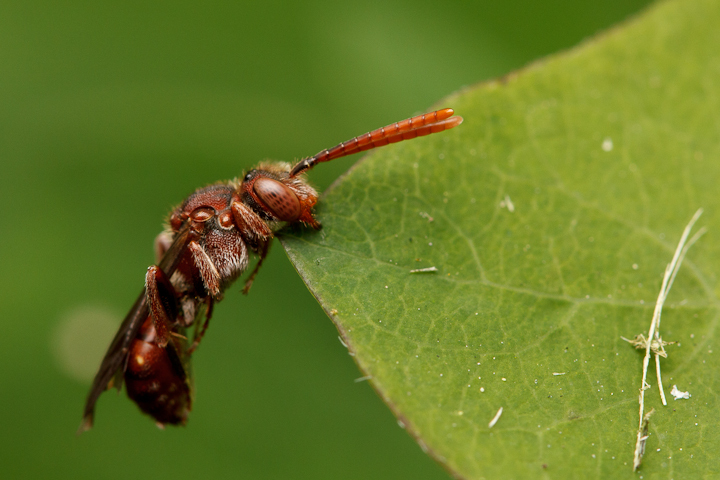 Sleeping on a Snowberry leaf. 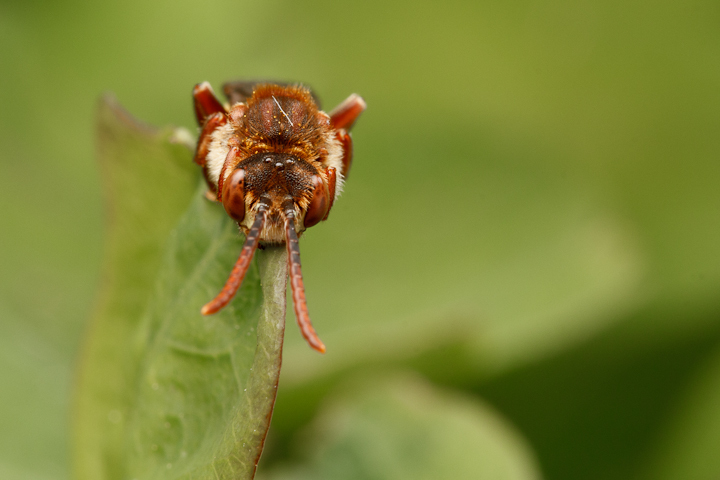 If you ever get the chance, go out and find some sleeping bees! You won’t regret it! 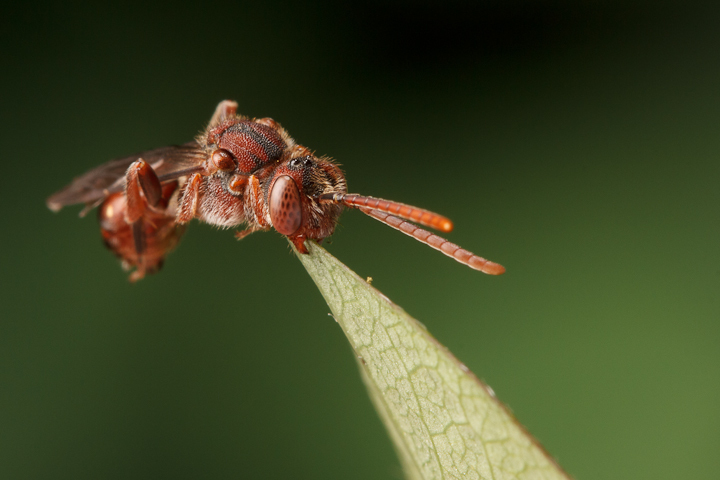 Seems odd to me that they sleep hanging on with their mandibles when they have 6 perfectly good legs. Probably, the clenched jaws have a locking mechanism that requires no energy to stay in place. It must be a very functional feature. 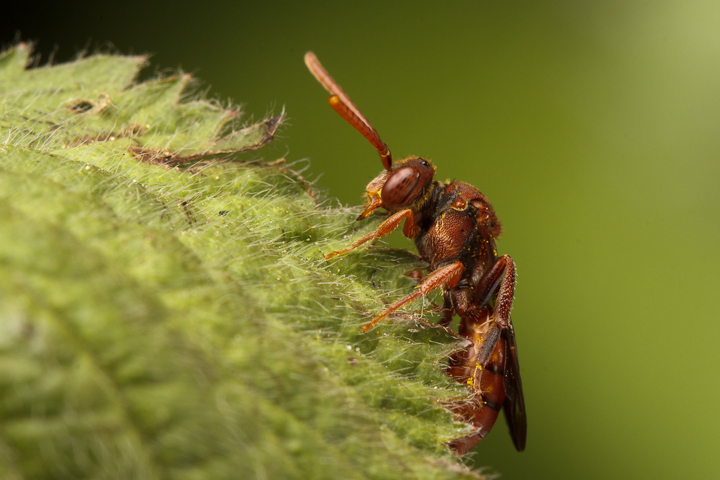 Many species of bees and wasps have it.